AVTEC Scout console system offers a fully Integrated solution for commercial environments. 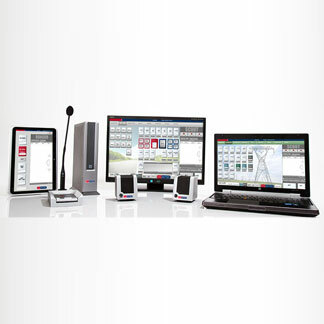 AVTEC’s Scout Pure Voice over Internet Protocol dispatch console system uses a direct IP interface to connect with conventional or multi-site trunked MOTOTRBO systems. Wire-line connections provide a direct IP interface between the console system and the radio infrastructure, which avoids system radio frequency loading associated with wireless connections. 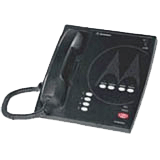 SmartPTT is a dispatch software for MOTOTRBO professional digital two-way radio systems from Motorola Solutions. It provides full functional control and fleet management over the radio networks of any size and topology based on MOTOTRBO™ IP Site Connect, Capacity Plus, Linked Capacity Plus, and Connect Plus. 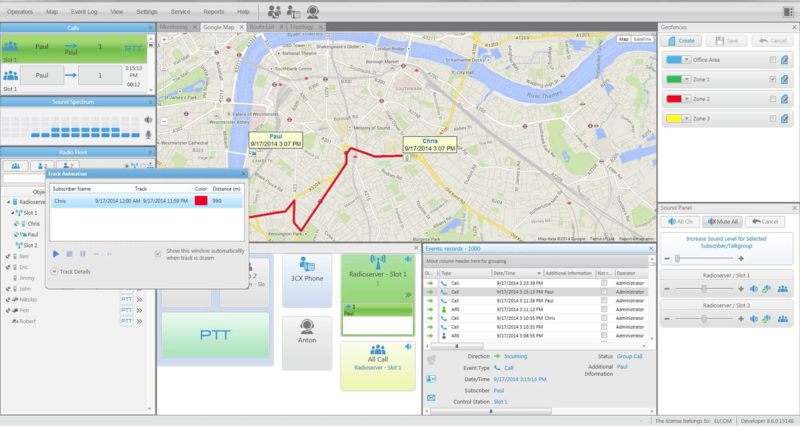 TRBOnet offers the most advanced features for radio fleet management, dispatch and voice and data communications. It leverages the enhanced MOTOTRBO wireline network interface which allows dispatchers to interface directly with the system over IP. This improves the system stability, security and reliability but also reduces hardware overheads and can lower maintenance costs. 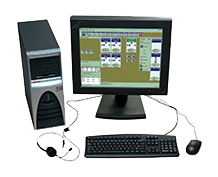 The MC3000 Digital Desktop Controller is available for local configurations and can control all standard radio functions of Motorola's ASTRO Digital Consolette, MSC 2000 Model III Control Station, iDEN M470 (LM3000), or CDM 1550 Series Radios. One model controls any one of the above radios and can be changed as the radio changes. All of the buttons from the radio are duplicated on the deskset with customized labels, so a customer who is familiar with the radio can easily use the deskset. Pick your audio accessory - handset, headset, footswitch, and deskmic are all compatible. Up to 31 units can operate in parallel for multiple dispatch operations. Allows desktop controllers to communicate with, and monitor other remotes without keying the radio channel. Operators can have conversations without disturbing field users. The Vertex Standard BSC-5000 is specifically designed for use with the Vertex Standard VX-5500 or VX-6000 Series mobile radios to provide users greater choices in Base Station configurations. One console, when combined with Vertex Standard VX-5500 or VX-6000 mobile radios, gives you a choice of bands and power ranges for just the right base station solution for your operation and for maximum return on your investment. Size (W x H x D) 16" x 4.8" x 14"